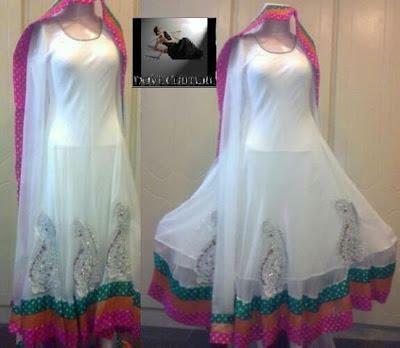 Recently Dove couture has launched Summer Eid Collection 2012. Dove Couture is a famous Pakistani fashion brand that is here & serving Pakistans populace since 2005. Dove Couture provides awesome clothing stuff & it is always amazing & eye catchy. Dove Couture makes use of the best quality fabrics & embellishments to be definite highest quality standards. Their specialty lies in a tidy cut shadow with minimal embellishment & strong stylish cuts that speak for themselvesyet at reasonable prices. Fabric used for the outfits is of high quality & up to speed. The designs are innovative & give ravishing look. This collection latest fashion trend of Anarkali Frocks, A-line shirts, long shirts & Bridal Frocks with Churidar Pajama fashion is high lighted. This is stylish & classy collection with lots of colors & awesome prints.